BlackBerry's Priv was supposed to be the device that helped turn the company’s fortunes around. 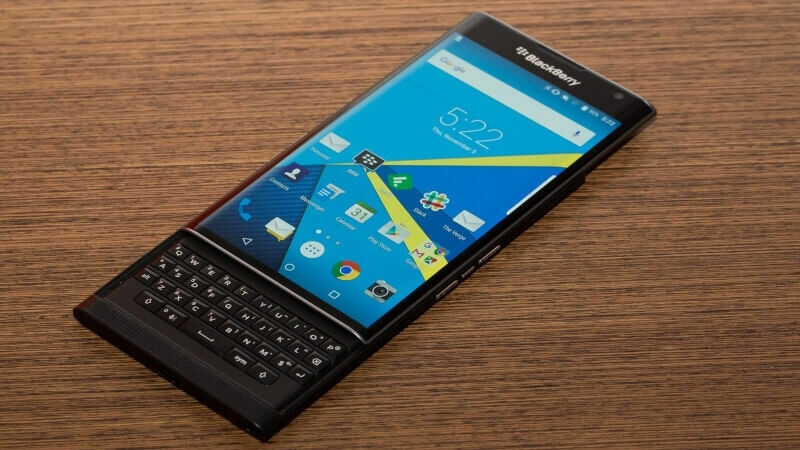 But despite the impressive specs, physical keyboard, and privacy features, the firm's first Android smartphone hasn’t sold well, to the point where BlackBerry has reduced its price by $50 to $649. In an interview with Abu Dhabi's The National, company CEO John Chen says that the decision to sell the Priv at such a high price point “was probably not as wise as it should have been." BlackBerry sold 600,000 units across all phone models last quarter; for context, Samsung has shipped around 10 million S7s since it launched. To make up for these weak figures, BlackBerry will be releasing two mid-range Android devices this year. Of the two new devices BlackBerry plans to launch, one will feature a physical keyboard and the other will come with a full touchscreen. The blurry image below, from the BBM channel of BlackBerry Central founder Dylan Habkirk, reportedly shows prototypes of the upcoming smartphones, codenamed Hamburg and Rome. Habkirk claims they will come with "two new hardware features that haven't been on a BlackBerry before." Chen didn’t reveal exactly when the mid-range handsets will be released. How successful the devices prove to be could have a massive impact on the future of the BlackBerry. “If I can’t make it profitable because the market won’t let me, then I’ll get out of the handset business. I love our handset business, but we need to make money," said the CEO.